From Cape Town to Tbilisi, from Panama City to Beijing, preparations are continuing in all corners of the world for the 3rd UIPM Global Laser Run City Tour. With a truly global schedule and a growing band of devotees of all ages and social backgrounds, the urban sports phenomenon is poised in 2019 to enjoy its most successful year to date, with the calendar now available to view at available to view. In 2017 and 2018 the circuit visited all five continents, more than 60 countries and more than 100 cities. In 2019 another 100 cities have been selected and given the chance to host their own edition of either the popular Laser Run event or the Biathle/Triathle National Tour, helping to provide an entry point to UIPM Sports for people of all ages in communities around the world. Outside of the GLRCT, Laser Run will have several unique opportunities to raise its global profile in 2019. 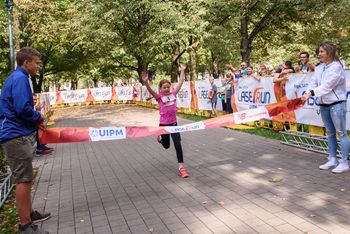 In September, the UIPM Laser Run World Championships will be incorporated into the Pentathlon World Championships for the first time in Margaret Island, Budapest (HUN), and Laser Run is on the programme for the 1st World Urban Games. UIPM’s pyramid of development sports exists to grow participation rates from the bottom up, offering all athletes a potential pathway to the Olympic sport of Pentathlon. And Laser Run is not the only one on the brink of an exciting year. There will also be a first edition of the new Biathle/Triathle National Tour, which will begin in June 2019, visiting eight cities, leading up to the UIPM Biathle/Triathle World Championships in St Petersburg, Florida (USA) in October. The Biathle and Triathle calendars are now available to view. 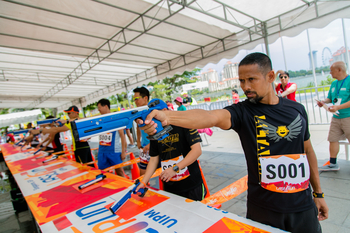 Furthermore, Laser Run and Triathle will both feature for the first time in the 30th Southeast Asian (SEA) Games in the Philippines. Viacheslav Malishev, UIPM Executive Board Member for Development, added: “We are all looking forward to the 3rd UIPM Global Laser Run City Tour and the 1st Biathle Triathle National Tour in 2019. 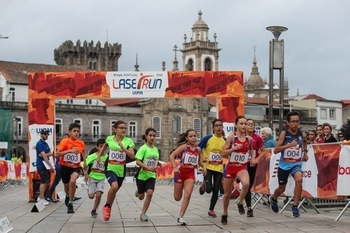 “The GLRCT has changed the landscape of our sport forever, with more than 100 cities around the world already introducing the popular and accessible sport of Laser Run to new urban communities and helping to grow our global participation base. “Biathle and Triathle are development sports that give aspiring athletes a clear pathway towards Tetrathlon and our Olympic sport of Pentathlon, and the BTNT will help those sports to flourish and accelerate the pace of the UIPM development programme. For more information on UIPM’s various multi-discipline sports visit the UIPM website.